You must know by now that Headings on any website page instantly make it more readable. They serve as visual cues, drawing a reader to important parts and ideas of an article. Many readers simply skim the content, and pay more attention only to that portion of the text that is captured by the headings that interests them. But it’s not only readers who like headings. Search engines love headings and look for them. Headings in WebPages perform pretty much the same functions as they do in a print format. They also help search engines to find the page. Google scans your post for content relevant to the searched words, and looks within the heading tags to see what the content is all about. We should make it easier for Google to find those words. Google finds the keywords more easily, if they are wrapped in heading tags. 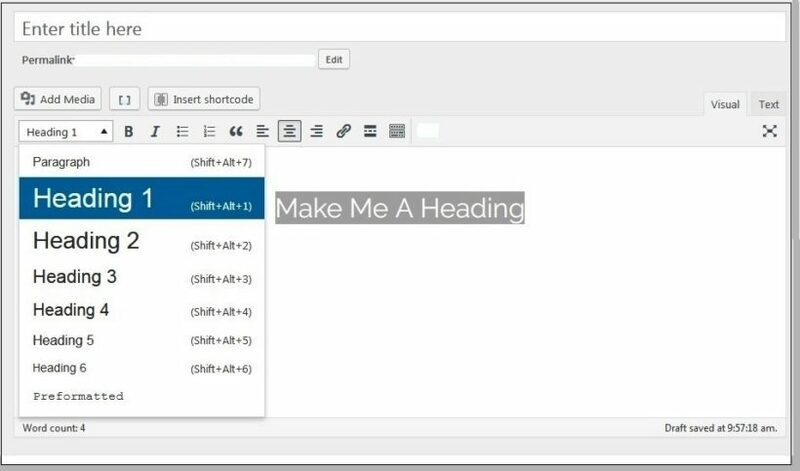 You can add header tags in WordPress in a few ways. 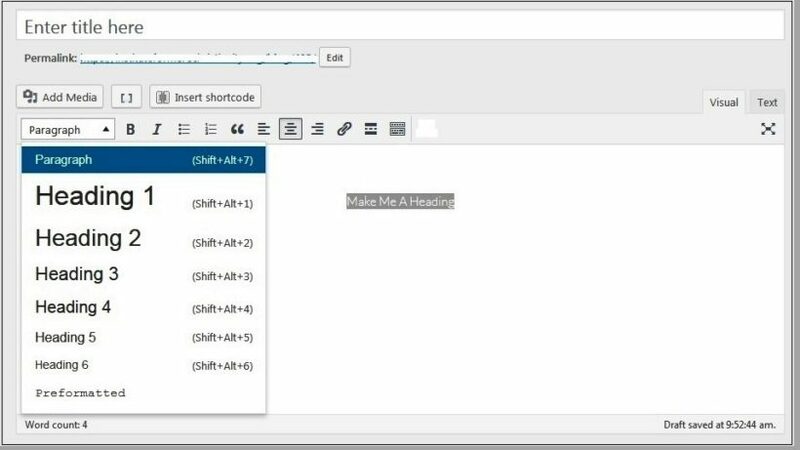 Most people use the easiest way, the menu in the Visual Editor. Here’s How. 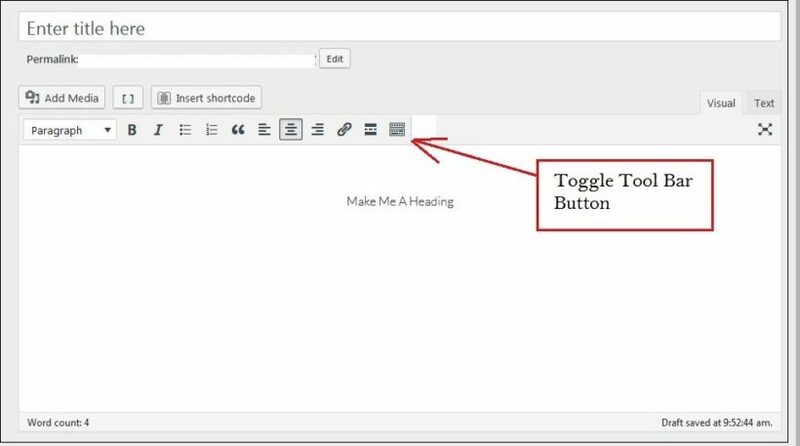 The toolbar in the Visual Editor has many formatting options. You’ll see one or two rows of options with the Toolbar Toggle at the extreme right. 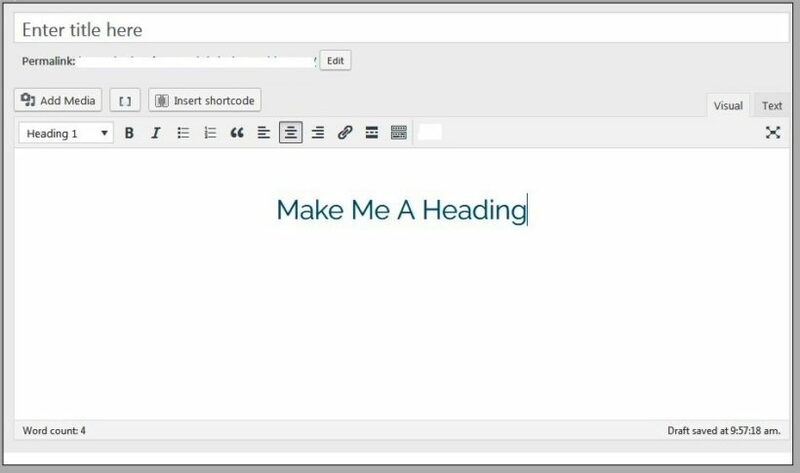 You’ll find the option for formatting text as headings usually in the second row. Step 1. Make sure you can see the second menu row. Step 2. 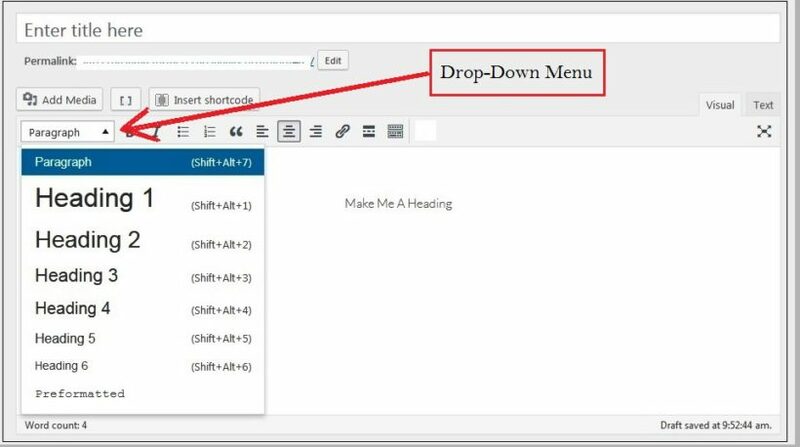 Now, click the Drop-Down Menu “Paragraph” to see all the formatting options. Step 3. Highlight the line you wish to format as a Heading. Step 5. And so now the text is formatted as an H1 Heading. Your readers and Google will be so happy! Heading Tags are important for WebPages and can make a big difference to readability and search engine visibility. Headings should make sense, stressing the importance of content. Use them sparingly on a webpage to move the reader through each part of the page. So make sure to use Headings in you Posts and Pages. Normally use only one H1 tag for a page, most always for the heading (top of page). More than one H1 won’t necessarily confuse the search engines, but it could dilute the SEO power of a single H1. H1 to H3 tags should suffice on most pages. H4 – H6 tags may be stretching it a bit, unless the page is really text heavy. 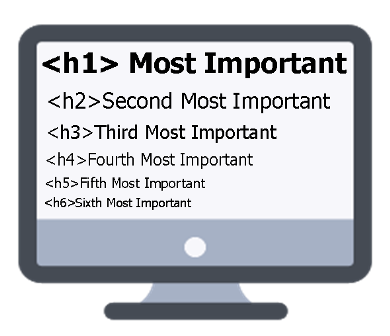 Maintain hierarchy while using the heading tags, meaning use the tags in numerical order H2, followed by H3, H4… Don’t skip a level. Your H1 header should describe the topic of your page. It can be similar to your title but not exactly the same. It should give the reader a strong sense of what he or she is going to read. You can, but it is not necessary to include your keyword. This is because Google looks for keyword presence in the title and keyword density in the content while searching and ranking content. There’s no necessity for exact keyword match. Keep a limit on the number of words that you cram into the any heading. Don’t pack in whole sentences or paragraphs. Generally the H1 should be 20-70 characters. If it’s too short you will be wasting valuable space. If too long you will be diluting the value of the tag. Do not use header tags simply to make some elements standout. To style any specific element on your website, use CSS. Your editor should have buttons for “Bold”, “Underline”, “Italic” etc.